Only In Egypt. Received from a hardware engineer in Cairo. 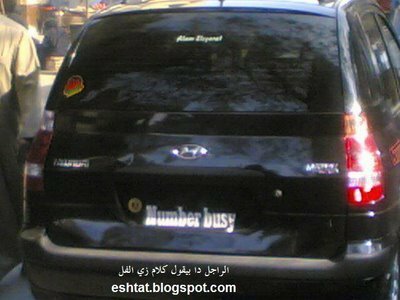 Actual photographer credited when known.. Wallpaper and background images in the Egypt club tagged: egypt funny amusing photos city cairo number busy bumper sticker black car. This Egypt photo contains busje, minibus, hatchback, hatchback deur, hatchback door, compact, compacte auto, and compact-auto. There might also be sedan, zaal, kasteel van sedan, auto, suv, vrachtwagen, truck, sport utility, sport utility voertuig, 's u v, suv, sport utility wagen, and is u v.